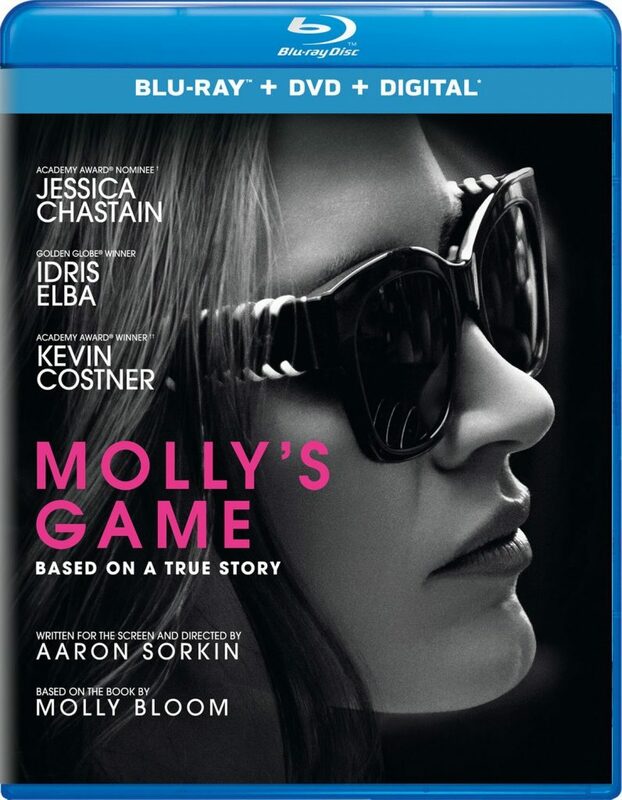 The Video: ‘Molly’s Game‘ comes with a 1080p HD transfer and is presented in 2.40:1 aspect ratio. The image is strikingly sharp and colorful at most times. Colors are deep and bright with dazzling lights in the hotel rooms that light up all of the fancy outfits on the poker players. The primary colors are well-saturated and ooze color in each scene. There is a good mix of warm and cooler colors in offices, dark apartment hallways, and nightclubs. The neon lighting is quite bright as well and always defines the foreground well. Some of the quick flashbacks have a yellow/greenish tint to them, but they never hinder any detail and is a good stylistic choice. Black levels are always deep and inky and the skin tones are very natural. Detail here is extremely vivid where closeups reveal individual facial pores, freckles, hairs, and stitching in the expensive dresses and suits the poker players wear. Background items never go soft either and there are no instances of any banding, aliasing, or video noise. This is a great looking video presentation. The Audio: This release comes with a lossless DTS-HD MA 7.1 mix and sounds very good for not being a big action blockbuster film. 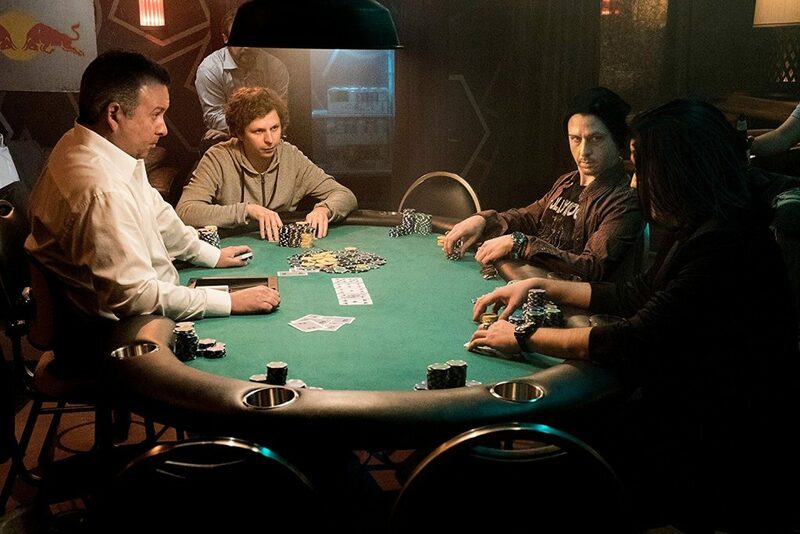 This is an extremely heavy dialogue film, given that it’s Aaron Sorkin at the helm, but the surrounds to pick up the packed poker tables and rooms very well that ooze out players talking, drinks being made, poker chips being stacked, and more. The bigger scenes at nightclubs always bring the bass in a hefty way too, which provides a good low end. The dialogue is always clear and appropriate for the setting with some good directionality. There were also no pops, cracks, hiss, and shrills, leaving this audio presentation with good marks. Building an Empire (HD, 3 Mins.) – A trailer for the film with some very quick interview snippets with the cast and crew. Nothing worth watching here. 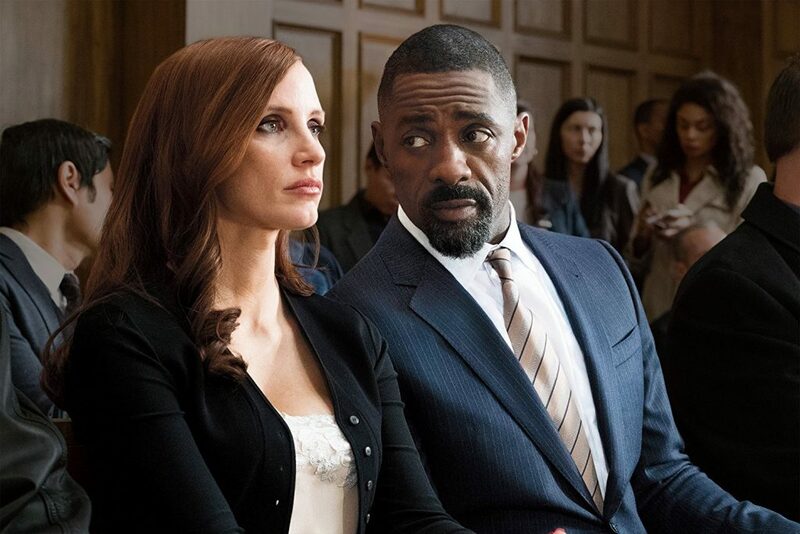 ‘Molly’s Game‘ is a very good film, but it drags quite a bit with a run time of 141 minutes. 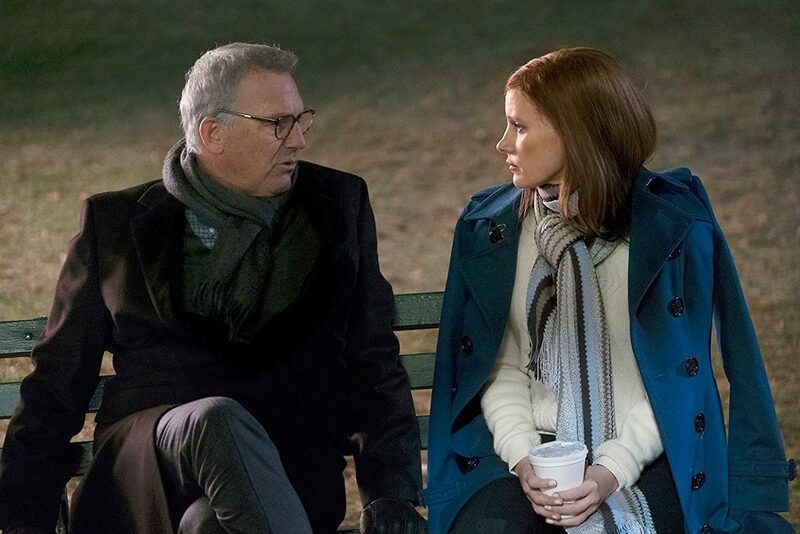 Easily, 20 minutes could have been cut out here, because the pacing was a bit slow here and there, which is odd for an Aaron Sorkin film. Still, this true story was worth telling, if only to show what Hollywood Elites are actually terrible people in real life. The video and audio presentations are both top notch here from Universal, but there is really no bonus features here, although it says there is. The only feature is a trailer for the movie with a couple of tiny snippets of interviews spliced in. I’d say wait for Netflix for this one. This entry was posted on Wednesday, March 28th, 2018 at 4:38 pm	and is filed under Film, News. You can follow any responses to this entry through the RSS 2.0 feed. You can skip to the end and leave a response. Pinging is currently not allowed.